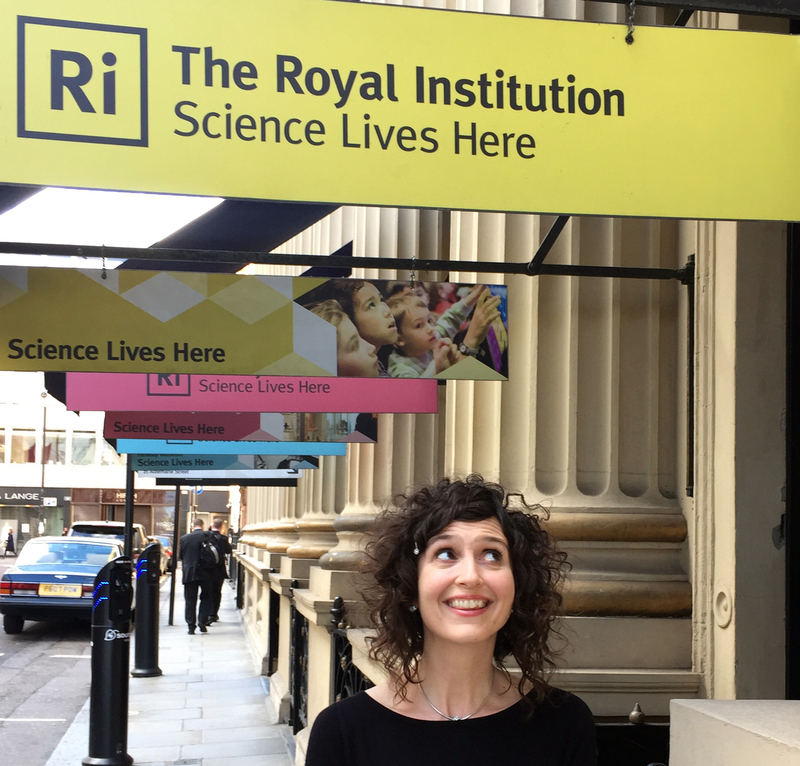 In May 2015, I was invited to present a Royal Institution ‘Friday Evening Discourse’. 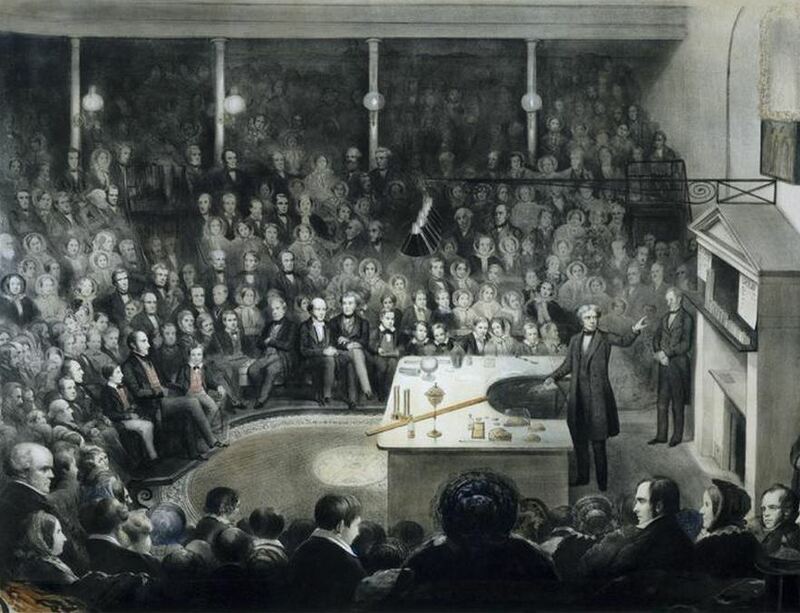 The Royal Institution’s most famous lecture series is probably the Christmas Lectures, but the Discourses have been running since 1825. They were started by English scientist Michael Faraday, and most “eminent scientists” have presented one. I was invited because I’d given a shorter lecture in 2014, on a bill of three scientists talking at the U3A’s (University of the Third Age) annual takeover of the RI. And I received that invitation because of my appearance on BBC Radio 4’s The Life Scientific, which also has a chain of prestigious guests. All of this, coupled with the fact that nothing much like conversation analysis has ever been discoursed upon (although Grayson Perry delivered a Discourse earlier this year! ), made me anxious to do my best for our field. I was told that the Discourses had a level of tradition and ceremony attached to them, including formal dress (black tie for men; dresses for women); that the speaker is locked in a room ten minutes before they start (to prevent them from running away as one past speaker apparently did); that the Discourse starts precisely as the clock strikes the hour (8pm) and must finish an hour later when the bell rings again. Before the crowned heads of Europe…. About three weeks before the Discourse, one of the organizers emailed me to say that the Duke of Kent, as President of the RI, had chosen to attend my Discourse (he attends two per year), and I could expect to have dinner with him afterwards. Anyone who knows me will know I always wear trainers (even with a frock) and my partner was planning to wear an old suit. 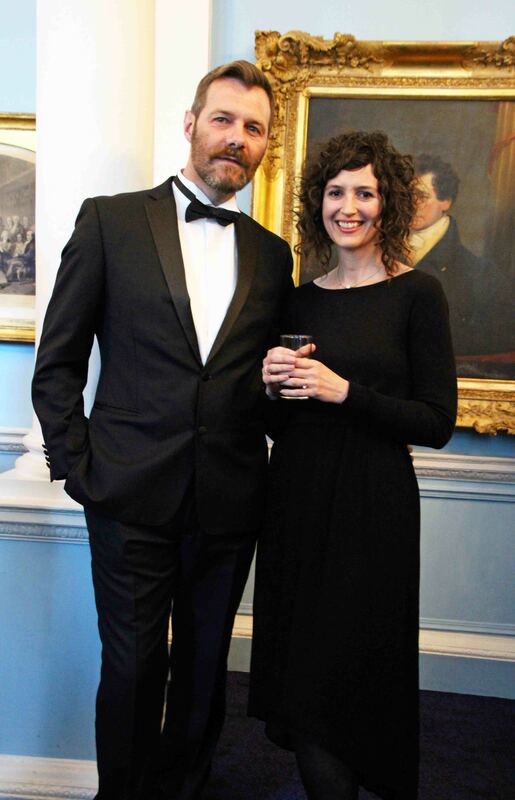 We both decided that, despite being r epublicans, this probably wasn’t the occasion for minor acts of rebellion, so black tie and proper shoes were the order of the day. 7pm and 7.45pm, while the auditorium filled up, a group of 40 or so guests were ushered to the Library for drinks with the VIP guests, and to meet the host for the evening, Professor Frank James, the RI’s resident professor. It turned out that, as a science studies professor, he knewMichael Lynch. So there was a connection, albeit a little tenuous, to ethnomethodology, even though no one had heard of CA. At 7.45, I was introduced to the Duke, and then whisked off to be locked in the room (in fact, to be wired up to the microphone as the Discourses are recorded and are available on the RI YouTube Channel). I knew that what would happen next is that the guests would join the audience in the auditorium, and that my partner would have to walk in with the Duke (another tradition; we assumed people would think he was a bodyguard). Then, just before the clock chimed, Frank and I walked in and the Discourse began. My talk was entitled, “The interactional ‘nudge’: Talking about talk from the mundane to the dramatic”. 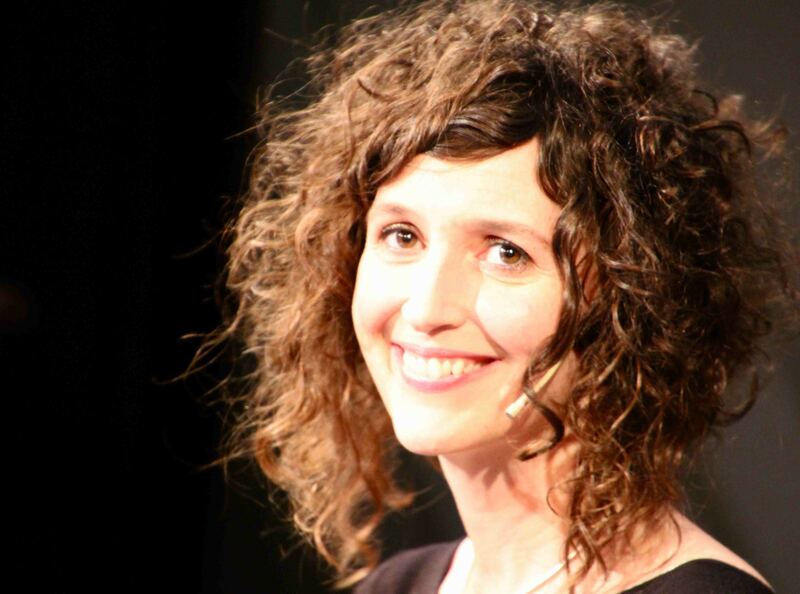 I talked about how conversation analysis works to provide a scientific understanding of talk as it unfolds in mundane as well as dramatic settings, from first dates to hostage negotiation, drawing on older and newer work. 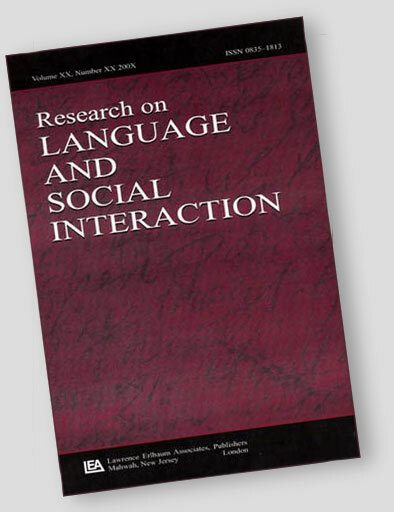 I argued that, rather than being messy and disorderly, talk is organised systematically, challenging Chomsky’s notion that to understand ‘linguistic competence’ we need to study idealized language rather than real interaction. And I started by drawing comparisons between CA and behavioural science (‘nudge’ theory), showing how small variations in what we say can have big impacts on what others say and do next (which I’m currently writing about – hopefully for ROLSI! – see also the reference below). Finally, I demonstrated how my research findings underpin communication training using CARM (the Conversation Analytic Role-play Method) – in contrast to role-play and simulation – and upend common assumptions about how talk works. After the lecture came fifteen minutes of questions from the audience, and then lots of follow up emails, tweets and so on, in the days after. As I don’t live down the road in Kensington Palace, but back in the provinces, I had to leave before the Duke to catch the last train to Loughborough. All in all, it was a surreal day. The Duke said, afterwards, “We’ve never had a Discourse quite like that before”. Quite.